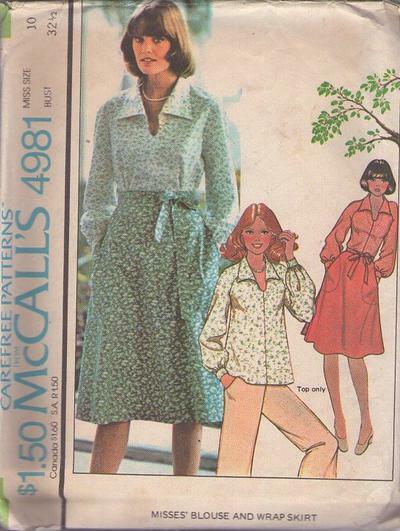 1976, 70s Office, Retro Casual Clothing Patterns - Pullover blouse has collar cut in one with fronts, and raglan sleeves with shoulder darts gathered into bands. Back wrap skirt has pockets, waistband extensions drawn thru opening and tied in front. Groovy!